THDC Recruitment 2018 Notification is newly issued by Tehri Hydro Development Corporation India Limited. The THDC India Limited is hiring skilled candidates for 40 Engineer Trainee Vacancies. Job Seekers who are eagerly waiting for latest Uttar Pradesh Government Jobs they can use this opportunity and apply for THDC Recruitment 2018. Interested aspirants must fill the online application forms from 5th January 2018 to 31st January 2018. Other information like Education Qualification, Age Limit, Selection Process, Application Fee details, Pay Scale, Important Dates, How to Apply Details are provided in the below section. So, follow this page completely and apply for THDC Engineer Trainee Recruitment 2018 Notification. A new career THDC Recruitment 2018 Notification it out for 40 Engineer Trainee Vacancies. Interested and willing job seekers can use this chance and apply before 31st January 2018. The provided details are officially released by Tehri Hydro Development Corporation India Limited. Candidates who are interested in Central Government Jobs they can simply apply for THDC Recruitment 2018. Those who are applying for Engineer Trainee Vacancies they must be possessed Bachelor’s Degree in Engineering (B.E/ B.Tech/ B.SC(Engg.) from a recognized Indian University/ Institute Approved by AICTE. Job Hunters who are interested in Engineer Trainee Jobs they can apply for THDC Engineer Trainee Recruitment 2018. By checking this article you can find more information about THDC Recruitment 2018. Aspirants who are suitable for this jobs they can utilize this chance. Getting a job in Tehri Hydro Development Corporation India Limited is not an easy task. Grab the details and apply as soon as possible. 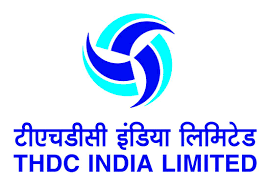 Also, you can refer the official website of THDC India Limited. Looking for Central Government Jobs? If yes, then hurry up and apply for THDC Recruitment 2018. The THDC India Limited has released totally 40 Engineer Trainee Vacancies. Capable people can enhance this excellent opportunity. Applying candidates age limit should be maximum 30 years. The category wise age relaxation details are provided below. To help the applicants here we are sharing THDC Engineer Trainee Recruitment 2018 Notification complete details. After checking the eligibility criteria suitable people can apply for THDC Vacancies 2018. Applicants will be selected based on GATE -2018 score. Those who are applying for THDC Engineer Trainee Jobs 2018 they can check complete information whether they are suitable or not. Collect the details from this page or visit the official website of Tehri Hydro Development Corporation India Limited and grab the information. Job Seekers can hurry up and apply for latest THDC Engineer Trainee Vacancies 2018. Candidates from General/ OBC category need to pay Rs. 500/- as application fee. For ST/SC candidates there is no application fee. Eligible people can download the application form and apply before 31st January 2018. Fil the form with correct information. Selected aspirants will get a good salary as per the norms. More details about THDC Recruitment 2018 is given below. After completion of the registration process, the THDC officials will select the candidates based on their Gate score. Visit our website Sarkari Recruitment regularly and check constant job notifications. Scroll down and collect Eligibility Criteria, Discipline Wise vacancy Details, Application Fee, Pay Scale, Important Dates stuff. Also, follow the instructions and apply for THDC Recruitment 2018 before the last date. Candidates who are applying for Engineer Trainee Vacancies they must be possessed Bachelor’s Degree in Engineering (B.E/ B.Tech/ B.SC(Engg.) from a recognized Indian University/ Institute Approved by AICTE. Aspirants, the maximum age limit is 30 Years. For SC/ ST category candidates the upper age relaxation is 05 years. For OBC candidates the upper age relaxation is 03 years. For PWD candidates the age relaxation is 10 years. Candidates selection process is based on gate Score. Applicants from General/ OBC category need to pay Rs. 500/- as application fee. For ST/SC candidates there is no application fee. Refer the official notification and check salary details. The Starting Date to Fill the Online Application Form: 5th January 2018. Closing Date of remittance of application process Charges/fee in Bank: 3rd February 2018. Last date for submission of payment details in Online Portal: 3rd February 2018. Visit the official website of THDC India Limited thdc.gov.in. On the home page search for THDC Recruitment 2018 Notification. If you are suitable for Engineer Trainee Vacancies then download the application form. Pay the application fee and verify the information. Refer the above provided information and apply for THDC Recruitment 2018 Notification. We suggest all the job seekers visit our website Sarkari Recruitment regularly and check more updates. Aspirants can easily view their exam results on सरकारी रिजल्ट. Tehri Hydro Development Corporation Limited is much familiar as THCD. THDCIL is consistently profit making company since the commissioning of Tehri Dam & HPP in the year 2006-07. The government of UP has allotted Khurja Super Thermal Power Plant (2X660 MW) in Bulandshahar Distt to THDCIL for implementation.So it has recently released announced THCD Recruitment 2017 notifications to fill up Multiple vacant positions throughout the country in various Departments, So candidates who are looking for the Central government jobs can apply for these positions on or before the last date. As we all know there is heavy competition for the central government jobs we insist the candidates prepare well and also to apply only if they think are eligible for that particular position. THCD Recruitment 2017 will be a golden opportunity for the job searchers as there are numerous openings in this Cental Government Organization. And Candidates can now apply for their dream job without hassle as we updated all the required additional information, especially for the candidates. So you can get all the minute details here further in this post. In this post, we updated information like Posts Details, Number of Vacancies, Age limit, Age Relaxation, Applying link, Start Date and last Date to apply etc., all about the THCD Recruitment 2017. And candidates who are interested in state government jobs and other Central Government organizations Openings can now check them on our site ie., Sarkari Recruitment f0r more Detailed and Accurate Information. Interested job searchers can also check other Central Govt Jobs, Navratna and Maharatna Companies openings like BHEL, BEL, BPCL, OIL, SAIL, CONCOR, EIL, ONGC, NTPC, IOCL, GAIL, CIL, Vizag Steel Plant, SCI, REC, PGCIL, PFC, NLC, NMDC, NALCO, MTNL, HPCL, NBCC, AAI, BSNL, CSL, ITDC, NFL, NSC, CCL , CPCL , BCCL, BDL , BEML, B&R, CWC, GRSE, HCL, HLL, HNL, HPC, HUDCO, IRCTC, IREDA, ITPO, KICOL, MDL, MMTC, NSIC, NHPC, NSCL. THDC India Limited is a Joint Venture of Govt. of India and Govt. of Uttar Pradesh. The Equity is shared in the ratio of 75:25 between GoI and GoUP. The Company was incorporated in July’ 88 to develop, operate & maintain the 2400 MW Tehri Hydro Power Complex and other hydro projects. The Company has an authorized share capital of ` 4000 cr. THDCIL is a Mini Ratna Category-I and Schedule ‘A’ CPSE. The initial mandate of THDCIL was to develop, operate and maintain the 2,400 MW Tehri Hydro Power Complex (comprising of 1000 MW Tehri Dam & HPP, 1000 MW Tehri Pumped Storage Plant & 400 MW Koteshwar HEP) and other Hydro Projects. Total installed capacity of THDCIL presently is 1450 MW. THDCIL has two Hydro generating stations namely Tehri Stage-I (4X250 MW) and Koteshwar HEP (4X100 MW) and one Wind Power Project (25X2 MW) at Patan, Gujarat. The Memorandum and Articles of Association of the Company have been modified to reflect the current business reality of projects outside Bhagirathi valley. The object clause has been amended to incorporate the development of Conventional/ Non-conventional/ Renewable sources of Energy and River Valley Projects. The Corporation has grown into a multi-Project Organization, with Projects spread over various States as well as neighboring country, Bhutan. THDCIL presently has a portfolio of 18 projects totaling to an installed capacity of 6374 MW under various stages of implementation/development. The 1,000 MW Tehri Power Station was commissioned by THDCIL in 2006-07. The Tehri Project is multipurpose Project providing electricity to the Northern Region, Irrigation benefits to Uttar Pradesh, and Drinking Water to NCT of Delhi and U.P. Due to regulated releases from the Tehri storage reservoir, the existing downstream hydro projects of the State are also benefiting by way of augmentation in generation at no additional cost to them. Under India-Bhutan Co-operation in hydro Sector development, THDCIL is involved in the implementation of Bunakha HEP (180 MW) as a Joint Venture Project. The Company has also taken up work of updating of DPR of Sankosh HEP (2585 MW) in Bhutan as a consultancy assignment.THDCIL has obtained ISO 9001:2008 Certificate of Quality Management System, ISO 14001-2004 Certification (Environment Management System) and ISO 18001:2007 (Occupational Health and Safety Management System) Certification for Corporate Office, Rishikesh, Tehri HPP, Tehri PSP, Koteshwar HEP and Vishnugad Pipalkoti HEP. Tehri Hydro Development Corporation Limited is going to generate a notification to recruit many vacancies. Job searchers can apply for them according to their qualification and eligibility which are updated below in this post in a detailed manner. Organization is looking for the hardworking Candidates. It is looking for both Freshers as wells as Experienced candidates. So, Without Delay Competitors can apply for these Vacancies.The competitive written exam and personal interview will schedule by an authority for final selection. If any type of dispute and query arose with regard to open Tehri Hydro Development Corporation Limited posts, the decision of Managing Committee of THCD Recruitment will be last. System Officer: Bachelor’s Degree of Environmental Engineering/Technology (BE/B.Tech)/Computer Science/Information and Communication Technology/Electronics & Communication or MCA & 2 year Working experience. The selection procedure will be decided by THCD depending upon the response received against the post. The Selection criteria can be by way of personal Interview or by way of Group Discussion followed by personal interview. The decision of THCD will be final. E-mails will be sent to the shortlisted candidates. The final selection of the candidates will be based on the performance in the Personal Interview, where after “Offer of appointment” shall be issued. Interested and Eligible candidates who are interested in Tehri Hydro Development Corporation Limited, may apply online through official website HERE.